Movements are powerful. It defines a culture, empowers a nation, and gives people a strong reason to fight for a cause they believe in. Two days ago, Filipinos celebrated the 27th EDSA revolution. Years of violent repression and despotic rule drove millions of people to rally on the entire stretch of EDSA in 1986. The nation made history when men, women, and children gathered in unity as they held on frail hope, took a stand, and boldly expressed their convictions against the tyranny of a dictatorship. It was, beyond words, a monumental feat for the Philippines. But what if EDSA was powered by technology? Perhaps it could have happened sooner, moved progress quicker, and possibly saved more lives. It’s a lesson in politics, economics, the environment, and heck – even marketing. Yes, Movement Marketing is a strategy that’s been gathering steam over the last years. We’re in a time where groups of people, or social communities, are in a position to decide which brands to patronize, engage with, and campaign for. In the age of social media, marketers are required to create, sustain, and continuously nurture relationships with the evolving, ever more powerful, and connected consumer. To create such connection, relying solely on advertisements are no longer enough. A brand needs to establish its relevance for it to accrue a higher perceived value among its target market. This is where Cultural Movement Marketing becomes a necessity – it gives people a reason to build a lasting relationship with a brand that truly advocates the culture it supports. A concept introduced by Scott Goodson, CEO of Strawberryfrog and founder of the Cultural Movement Marketing, it involves a like-minded group of people banding together around a shared idea or passion. Movement Marketing shows a lot of potential since people, by nature, have a fundamental need to be part of something big, exciting, and inspirational. The premise here is if people know that you genuinely promote the values/causes they believe in, then it’s easier to capture their loyalty since they’d be more willing to buy products and services from brands who share their passion and beliefs. The idea of Movement Marketing emphasizes that marketers must stop talking about themselves and their products and focus on understanding consumers, listen to what they are and are not saying, and find out what these people are passionate about. Start from within: The very core of a Cultural Movement should always come from within the brand itself. 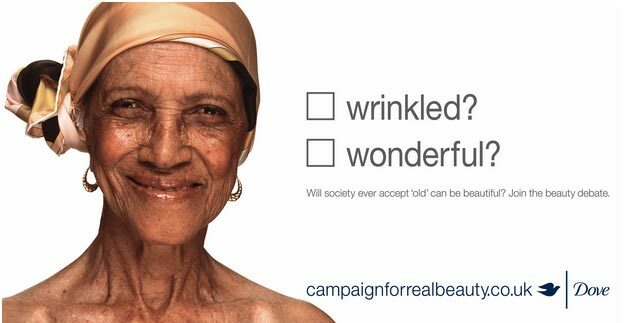 It should be relevant to the brand’s ideals and what it stands for, and add real value. Buy in: Once an idea for a Movement has been identified, the brand has to live and breathe it. Everyone – from the top down – needs to support it and spread the message. No hard-sell: Cultural Movements need to talk about anything but the products themselves. People don’t want to be sold to – they want to be engaged with. Buying the product is a natural side-effect as they become loyal brand followers through joining a Cultural Movement. Excite people: Cultural Movements are about a two-way conversation. Brands can’t dictate the message, they have to engage and involve people in it. Keep it kinetic: Once a Movement gets going, it grows. Each great idea leads to the next, each motivation creates more. It’s a sustained way of constantly talking to your consumers and involving them in your brand – hence a smart way to spend marketing dollars. We’ve seen movements inspire us, challenge us, and change us. As today’s marketers struggle against information overload, and make every possible effort to maintain a unique voice that rises above the social noise, movements are becoming more and more important. It provides consumers a sense of value and meaning in and out of a busy online environment. Listed below are some of the early adopters of this brilliant strategy. In 1984, Apple was struggling to compete in the PC market share wars where IBM was king of the industry. Steve Jobs took a gamble by producing a 60-seconder TVC that was launched during the Super Bowl. Not one faint image of the Macintosh was seen, there was no product feature, and was definitely not benefit-driven. It was an allegory-infused ad with a simple, striking message that perfectly embodies what Apple stands for:: Dare to make a difference. Back in the 50s, the automobile scene was full of colorful advertisements showcasing big, shiny cars – from Oldsmobile to Chevrolet and Buick – these were considered the status symbol of a quality lifestyle. 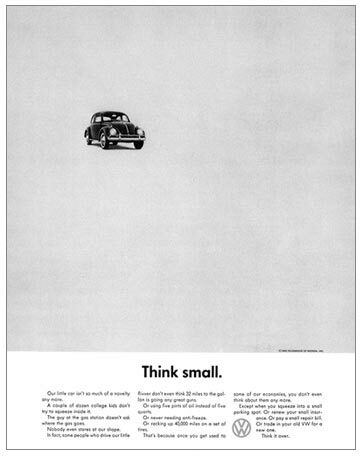 Then came Volkswagen’s ‘think small’ print advertisement. It was the total opposite of what’s popular and grand. The car image is so small and it was printed in black and white. Surprisingly, it won the hearts of many with it’s straightforward, unpretentious message that highlights its compact size and affordability. 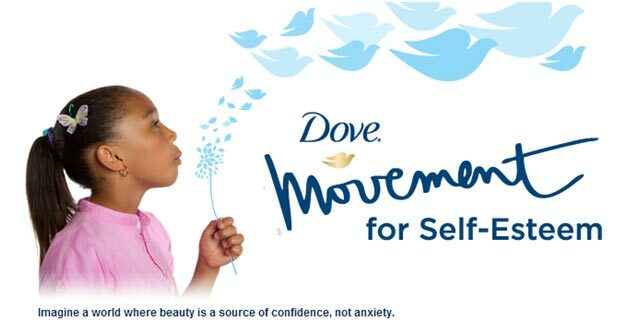 As a beauty product that competes with thousands of brands that put high premium on the importance of good looks, Dove created a movement that challenges the public’s stereotypical perception of what beauty really is. In 2010, Pepsi started an initiative that awards $20 million worth of grants to individuals and businesses that promote a new concept that positively impacts the community and/or the country. A simple idea that turned into a global phenomenon, Earth Hour encourages hundreds of millions of people from around the world to turn off their lights for an hour in an effort to help preserve that one thing that binds us all – the planet. 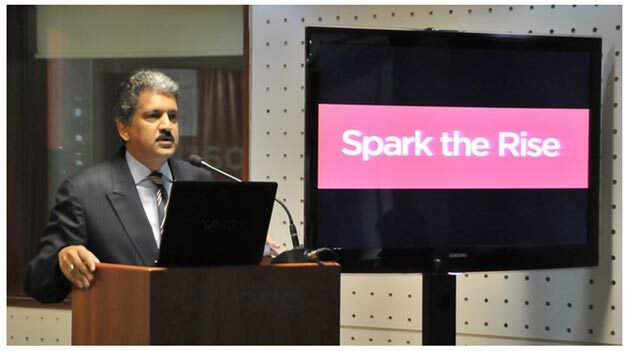 Mahindra is touted as the first Indian multinational organization to leverage Movement Marketing as part of its sustainable business strategy. It seeks to engage people to be catalysts of positive change as the company lends financial support to the best ideas they will receive. If movement in itself inspires action, movement AND technology drives change faster. There is huge power in people believing the same thing, especially if they’re armed with the technological capability to communicate with just about anyone anytime regardless of distance. Movement marketing aims to tap into this potent combination. It helps brands build and earn the trust of the consumers. Trust creates community, it creates buyers, makes sellers more effective, and it fosters long-lasting customer relationships. Fueled by shared passion, Movement Marketing compels like-minded people to act together. When done right, it is a highly effective strategy because it appeals to people’s beliefs and aspirations. It acknowledges the duality of a consumer and nurtures the man that he is and the man he wants to be. It dares to answer the ‘why’ above other questions, thus pushing people to dig deeper, think better, and act smarter. With such a potent strategy, Movement Marketing is definitely here for the long haul. It’s up to you as marketer to embrace it and make the most of it. Eve is superior sniper of lexicon and verbiage. When letting her two keyboards, tablet, and phone stop smoking and rest from her flow, she can quote 100 movie lines at the drop of a hat. At her heart, Eve is a Mom, Daughter, and Keyboard smasher.